Whitehead Institute scientists report that the gene mutated in the rare hereditary disorder known as Birt-Hogg-Dubé cancer syndrome also prevents activation of mTORC1, a critical nutrient-sensing and growth-regulating cellular pathway. This is an unexpected finding, as some cancers keep this pathway turned on to fuel their unchecked growth and expansion. In the case of Birt-Hogg-Dubé syndrome, the mutated gene prevents mTORC1 pathway activation early in the formation of tumors. Reconciling these opposing roles may give scientists a new perspective on how cancer cells can distort normal cellular functions to maintain their own harmful ways. Cells use the mTORC1 (an abbreviation for "mechanistic target of rapamycin complex 1") pathway to regulate growth in response to the availability of certain nutrients, including amino acids. Whitehead Member Dr. David Sabatini and other researchers have teased apart many components of this pathway, but the precise mechanism by which nutrient levels are actually sensed has remained elusive. Recently, Dr. Sabatini and his lab determined that a family of proteins known as Rag GTPases act as a switch for the pathway—when nutrients are present, the Rag proteins turn on the mTORC1 pathway. Now, several members of the Sabatini lab, including graduate student Zhi-Yang Tsun, have determined that the FLCN (folliculin) protein acts as a trigger to activate the Rag protein switch. Their work was published online on October 3, 2013 in Molecular Cell. "Zhi has ascribed a molecular function to this protein, and that's a major contribution," says Dr. Sabatini, who is also a Howard Hughes Medical Institute investigator and a professor of biology at MIT. "For the first time, we have a biochemical function that's associated with it. 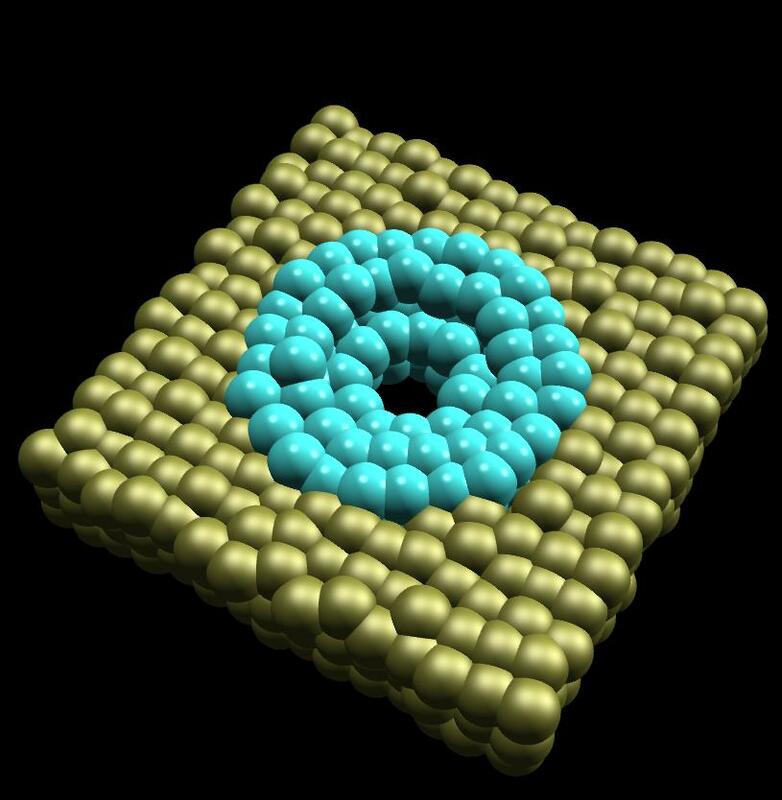 A new way to build membrane-crossing pores, using Lego-like DNA building blocks, has been developed by scientists at University College London (UCL), in collaboration with colleagues at the University of Cambridge and the University of Southampton. The approach provides a simple and low-cost tool for synthetic biology and the technique has potential applications in diagnostic devices and drug discovery. The research was published online on October 2, 2013 in Angewandte Chemie. Membrane pores are the gateways controlling the transport of essential molecules across the otherwise impermeable membranes that surround cells in living organisms. Typically made from proteins, pores of different sizes control the flow of ions and molecules both and in and out of the cell as part of an organism's metabolism. Our understanding of membrane pores comes both from the study of natural pores, and from equivalent structures built in the lab by synthetic biologists. But synthetic proteins are notoriously difficult to handle due to the complex and often unpredictable ways in which their structures can fold. Even minor protein misfolding changes a protein's properties, meaning that building synthetic pores out of proteins can be risky and time-consuming. A more straightforward approach is so-called 'rational engineering' using Lego-like DNA building blocks. Although generally known as life's genetic code, DNA strands, which are chemically much simpler than proteins, are far easier and more predictable to work with than proteins. As such they are a useful material for building nanoscale structures in the lab. "DNA is a construction material that follows very simple rules," said Dr. Stefan Howorka (UCL Chemistry). "New nanostructures can be easily designed using a computer program, and the elements fit together like Lego bricks. Researchers at the University of Michigan (U-M) Comprehensive Cancer Center, together with colleagues, have used DNA and RNA sequencing to identify a type of mutation that develops after breast cancer patients take anti-estrogen therapies. The mutations explain one reason why patients often become resistant to this therapy. The discovery stems from a program at the U-M Comprehensive Cancer Center called Mi-ONCOSEQ in which patients with advanced cancer have their DNA and RNA sequenced to identify all types of genetic mutations that could play a role in the cancer. Researchers use the findings to help direct therapies they think will work best. But they also use the data to find new genetic links. The detailed analysis means that researchers can identify anomalies among a small number of patients. In this study, they looked at 11 patients with metastatic breast cancer that was classified as estrogen-receptor-positive, meaning the cancer is influenced by the hormone estrogen. This is the most common type of breast cancer. The study was published online on November 3, 2013 in Nature Genetics. 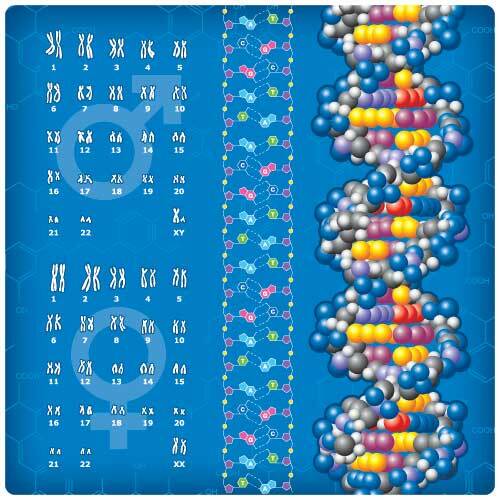 The analysis found that six patients had mutations in the estrogen receptor. All of them had been treated with an aromatase inhibitor, a type of drug that blocks estrogen production. What’s more, the researchers found that the mutations were not present before the patients started their treatment, which implied it was the therapy itself that caused the mutations to develop or be selected. “This is the tumor’s way of evading hormonal therapy. These mutations activate the estrogen receptor when there is no estrogen – as is the case when a patient takes an aromatase inhibitor. Children of survivors of extremely stressful life events face adjustment challenges of their own, as has been most carefully studied among the children of Nazi Death Camp survivors. This "intergenerational" transmission of stress response has been studied predominantly from the psychological perspective. However, recent research points to biological contributions as well. Indeed, a new study published in the November 1, 2013 issue of Biological Psychiatry demonstrates that offspring born to stressed mothers show stress-induced changes at birth, with altered behavior and gender-related differences that continue into adulthood. "The notion that biological traits that are not coded by the sequence of DNA can be transmitted across generations is the focus of a field of research called epigenetics. This new paper implicates epigenetic regulation of a well-studied contributor to stress response, CRF1 (corticotropin-releasing factor type 1), in the intergenerational transmission of patterns of stress response," said Dr. John Krystal, Editor ofBiological Psychiatry, who was not involved in the study. The researchers, led by Dr. Inna Gaisler-Salomon at University of Haifa in Israel, were interested in how stress modulates behavior and gene expression across generations. Previous studies in both humans and animals have shown that females exposed to stress even before they conceive can affect their children and even grandchildren. In this study, the researchers looked for a possible mechanism for these effects, focusing on the CRF1 gene. They studied adolescent female rats that went through a mild stress procedure before mating. Stress led to an increase in CRF1 expression in the frontal cortex, a brain region involved in emotional regulation and decision-making.